By investing in a membership to the Adel Partners Chamber of Commerce, you’re not only supporting local events, programs, and services, but stimulating your own personal and business development as well. 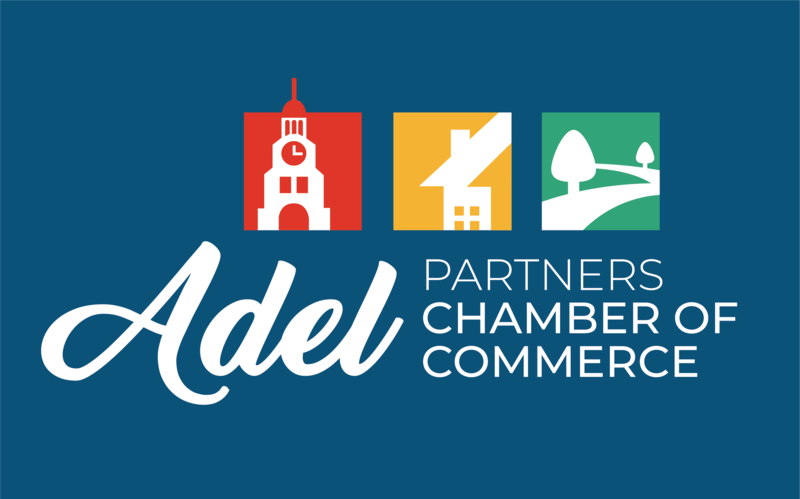 The Adel Partners Chamber provides excellent opportunities for members to connect as business networking is a key component to small business’ success. This organization is known for being active in connecting, promoting, protecting and assisting the businesses that make up the organization. We invite you the read through the membership levels and choose the best level to showcase your business. These levels are structured to fit your business needs and showcase your business for growth and successes. Sponsorship to event of your choice at $500 level. Sponsorship to event of your choice at $250 level. Introduction on social media of joining Adel Partners—IPad/phone video posted on Facebook. Monthly networking at morning mixers—2 minutes to introduce yourself and your business. Greater Des Moines Partnership Affiliate member which includes an assortment of tools, educational opportunities, professional development and enrichment and the latest technology to connect to new customers and grow your business. Receive the Chamber Chat weekly. This will keep you updated on the events and promotions in Adel. Become Engaged and a part of the Community through volunteerism. Listed as a Community Patron in the Community Guide and Website.